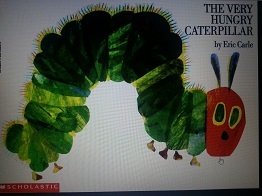 Read ‘The Very Hungry Caterpillar’ by Eric Carle to your child. Read this book as many time as you like this week! Find information on the life cycle of a butterfly – look through non-fiction books from the library or search the internet. Discuss all of the new words that you come across that are related to the life cycle like metamorphosis and chrysalis. Choose interesting words from ‘The Very Hungry Caterpillar’ and topic words from the lifecycle of a butterfly and create a word wall. Read over these words every chance you get. Make a lifecycle of a butterfly display. 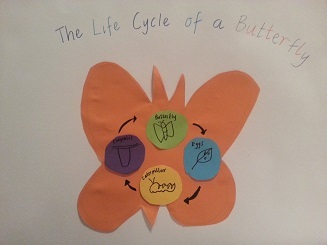 Your child may like to do this as a poster or perhaps on a butterfly template. You may like to use ‘Egg’, ‘Larva’, ‘Pupa’ and ‘Adult’ as the titles for the life cycle stages or perhaps ‘Egg’, ‘Caterpillar’, ‘Chrysalis’ and ‘Butterfly’. Write ‘The Very Hungry (insert your child’s name). 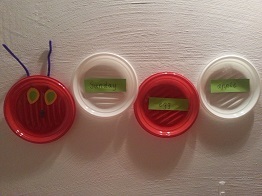 Staple some paper together and get your child to write a day of the week on each page. Based on ‘The Very Hungry Caterpillar’ write a story. What did you eat each day? What did you change into in the end? Illustrate and share. Say the word ‘caterpillar’. Then have fun changing the first sound for another sound. 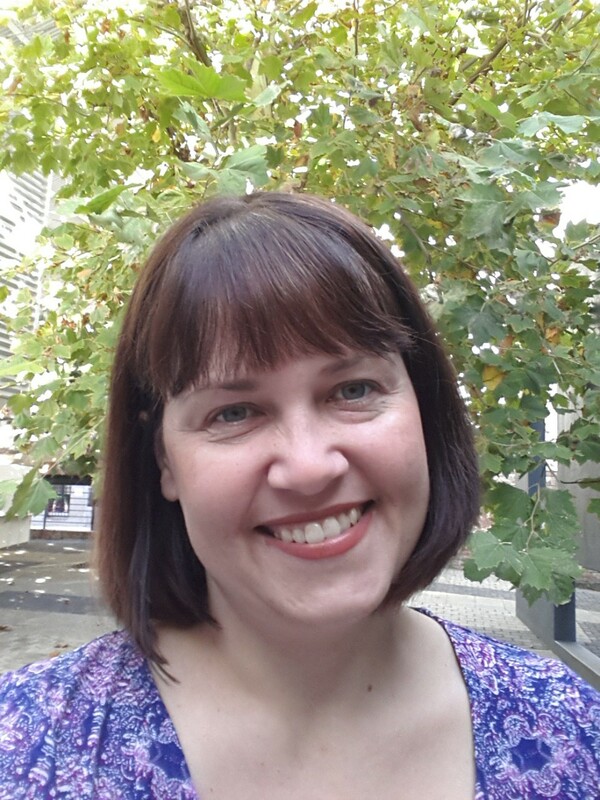 Come up with new words like ‘baterpillar’, ‘haterpillar’ and ‘raterpillar’. Draw what these creatures might look like!